The "Lotus Summit Top w/Gel" is a mid-priced mattress with several luxury features. A great seller from the Comfortec line, this model offers both a lofty and soft feel and also, a great level of support. The LFK innerpsring unit is known to be one of the better-lasting coil units in the industry. Layers of both Hypersoft and Super Soft foams provide cushioning and cradling 'give'. The additional gel lumbar section provides a bit more support to the parts of your body that need it most. Foam encasement reduces motion transfer and overall bounciness; keeping the bed steady and with a consistent feel. Whether you need a standard or custom size mattress, the Lotus Summit Top offers a lot of 'bang for your buck'. Proudly made in the USA and sold at the cheapest possible price by Michigan Discount Mattress. Like many others who have considerable knowledge of mattress construction, I like the design of the LFK innerspring coil unit. It is really quite durable but it also contours with your body weight; providing an enveloping but supportive feel. 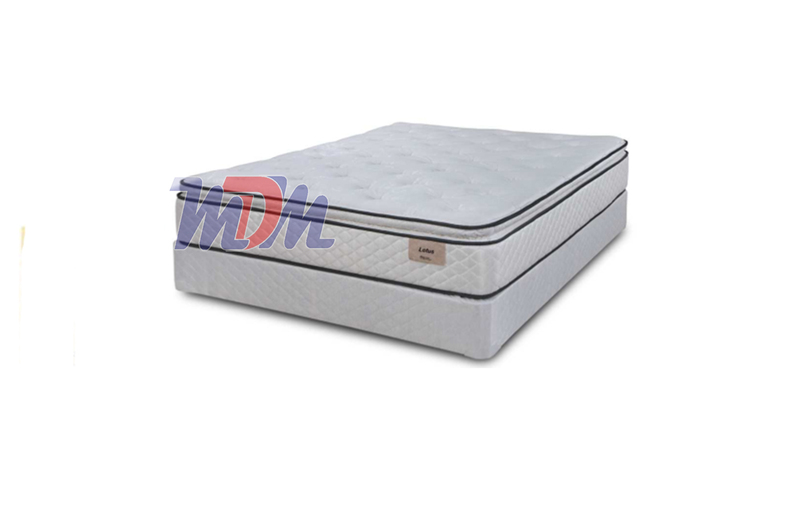 In some cases, LFK mattresses can get quite expensive but, with the Lotus, Symbol has producted a high-quality LFK unit - with many great features - for a low price. This is definitely a high value buy. 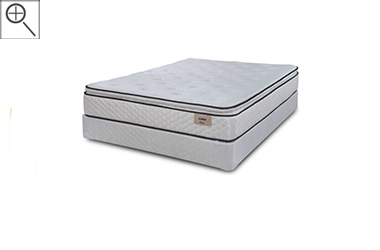 This model has 2" of Symbol's Hypersoft foam, a gel lumbar pad and 2" of convoluted (egg carton) Super Soft foam; this is a soft mattress with a durable coil unit, underneath. If you're in the market for a soft, lush feel for an affordable price - this is a great model for you. 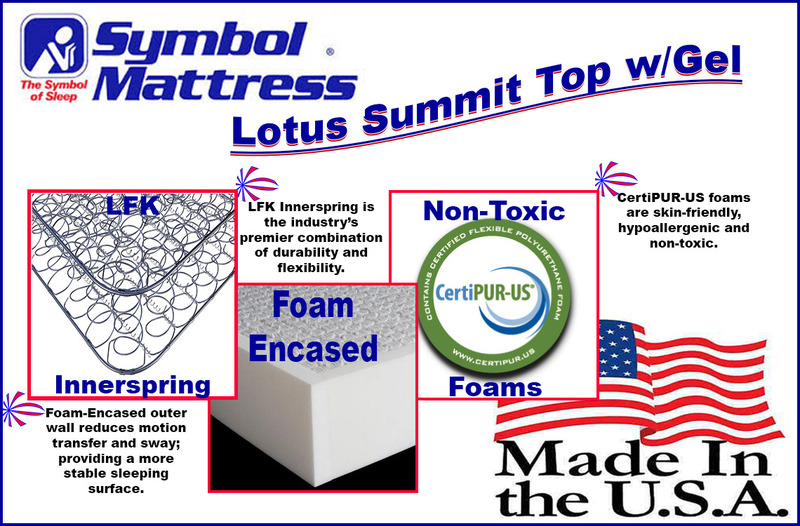 As always with Symbol's mattresses, all of the foams are CertiPUR-US certified and the Lotus line is made in the United States.